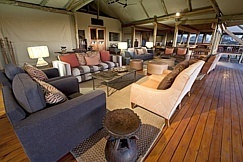 Kalahari Plains Camp lies in a remote part of the Central Kalahari Game Reserve, a place famed for its outstanding wildlife with vast herds of antelope followed by abundant predators – including the legendary black-maned Kalahari lions. 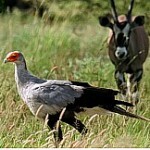 This region also offers some of the best summer wildlife viewing in Africa. 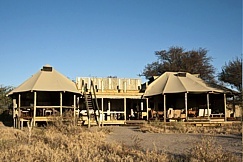 The camp, situated on an immense pan, comprises ten en-suite canvas units each with a sleep-out area from which to enjoy the night skies. 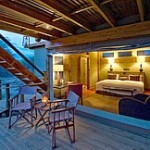 The lounge and dining area has a separate swimming pool and deck. 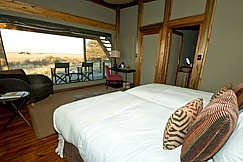 The camp is raised off the ground to catch the breeze and take in the sweeping, spacious views across the Kalahari. 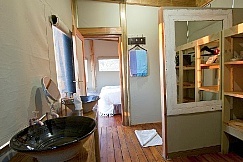 Solar power provides electricity and hot water, and the innovative insulated canvas walls and roof keep the temperatures inside comfortable. Guided game drives and walks unlock the wildlife treasures found here and San Bushman experiences provide insights into the unique culture of this people. 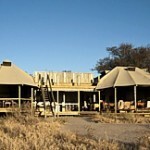 South of the Okavango Delta and dominating central Botswana, the 5 million-hectare Central Kalahari Game Reserve is one of the largest protected areas in Africa, its varied wildlife and wonderful scenery offering a startling distinction to the rest of the country. 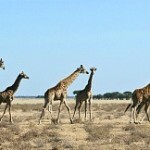 The Kalahari Desert is the largest unbroken stretch of sand in the world and at its core is the Central Kalahari Game Reserve, a vast flat stretch of scrub-covered fossil dunes peppered with ancient river valleys. This area is home to a intriguing spectrum of very different flora and fauna that have effectively adapted to living in such a harsh environment. 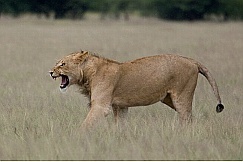 In the northern plains of the Central Kalahari Game Reserve, widespread vistas and acacia savannah mosaics direct the landscape and hold substantial populations of large predators such as lion, cheetah and brown hyena. 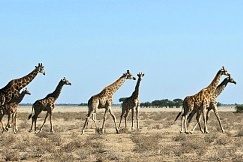 Herbivore collections include impressive herds of springbok, wildebeest and gemsbok as well as bat-eared fox, meerkats and ground squirrels. The plains game inhabitants move seasonally between dune and valley: in summer the verdant flatlands are a flourishing wildlife mosaic whilst in winter a series of ecologically-placed waterholes enhance game viewing. Over 220 bird species include noteworthy populations of regionally threatened and arid-west endemic species including notable species like Crimson-breasted Shrike, Violet-eared Waxbill and Southern Pied Babbler. 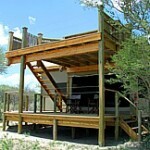 This part of the Central Kalahari Game Reserve offers year round viewing of key desert-adapted wildlife. 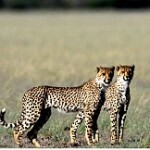 Summer is spectacular with huge concentrations of plains game followed by predators such as lion and cheetah. 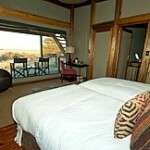 This is a premium desert experience throughout the year, with prime game viewing during the summer months. 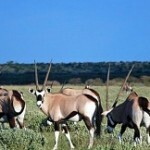 General herbivores species easily seen are gemsbok (oryx), springbok, red hartebeest, grey duiker and steenbok. 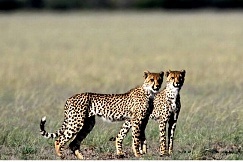 Other big game includes the sensational black-maned Kalahari lion, as well as one of the highest concentrations of cheetah in southern Africa,leopard, brown hyaena and even caracal. 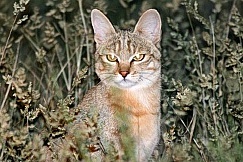 Small predators include meerkats (suricates), Cape fox, honey badger, black-backed jackal and many mongoose species. 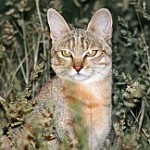 Over 220 bird species can be seen in the area, with regionally threatened species like Kori Bustard and Lappet-faced Vulture and arid-west endemic species such as Burchell’s Sandgrouse, Grey-backed Sparrowlark, Kalahari Scrub-Robin and African Wren-Warbler. 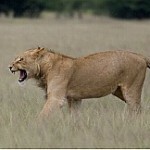 AM & PM game drives in open 4×4 vehicles. Day trips to the renowned Deception Valley, with a picnic brunch, can be requested. Game walks out of Kalahari Plains offers amongst the best walking anywhere in Botswana and the opportunity for natural history interpretation is endless. 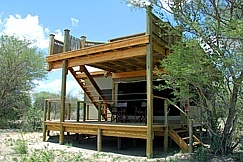 The Botswana Department of Wildlife and National Parks walking permit restricts walking to a 3km radius of camp – this includes two large remote pans which attract both wildlife and birds. 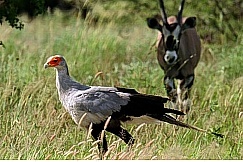 Game walks are dependent on a walking qualified guide being in camp and cannot be guaranteed. Bushman Walk, led by camp staff members who are descendants of the San Bushmen. The experience enables an understanding of how the San Bushmen lived and survived in the harsh Kalahari desert as well as gaining an insight in to the ancient San culture and their humble and gentle approach amongst the family units and with the environment. 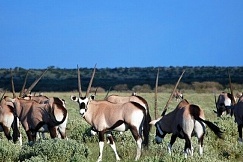 Please note: As Kalahari Plains is in the Central Kalahari Game Reserve, it adheres to all the Department of Wildlife and National Parks regulations including no off-road driving and night driving. 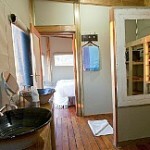 This camp accommodates 20 to 24 guests (if family units fully utilized). 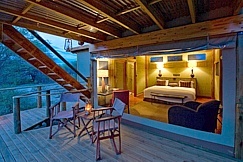 Children over the age of 6 years are welcome and partake in activities with all other guests. A minimum age of 13 years is required for walking activities. 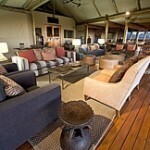 The airstrip is 25 minutes’ game drive from the camp.